Do you feel like you aren’t a good enough parent for your child? I get it. Parenting a child with ADHD is EXHAUSTING. I mean, parenting any child isn’t easy. But parenting a child with ADHD? It can make the most even-tempered parent feel out of control. And if you’re honest, you might be noticing you’re feeling more anxiety, not just about your child’s future, but in all areas of your life. And some days it seems that one more emotional outburst from your child just might send you over the edge. When it all gets to be too much, you can quickly spiral into anger, rage and resentment, right? And that leads to feelings of guilt and shame … because we LOVE our kids – but we don’t love how ADHD affects them. We’re scared that ADHD is going to steal their potential from them. We’re scared that even though we’re doing our best, that we’re doing something wrong. We’re just freaking scared. You don’t have to settle for the ADHD-fueled chaos, overwhelm and exhaustion you’re living now. Even if you’re still losing battles, it doesn’t mean you’re doing it wrong. I’ve been there. As someone who is parenting my own child with ADHD, I want to tell you that it can get better. It doesn’t happen overnight and it isn’t as simple as you’d like it to be. But I’ve gone from beating myself up because I wasn’t a good enough parent to feeling extremely confident that – even though things aren’t perfect some days – I’ve got my child headed towards a bright future. And now I’m helping parents like you transform the way you support your child with ADHD, too. Can I let you in on a secret? You can’t parent the ADHD out of your child. I can’t tell you how many times I’ve heard parents of children with ADHD tell me they feel like they’re failing. And I know exactly how they feel, because I remember feeling that way, too. Most likely, the past few months – maybe even years – have been extremely difficult. Bad, inexplicable behavior from your child, all sorts of failed parenting strategies, and a sense of negative chaos might have descended on your household. Maybe you thought all that would end once you had a diagnosis and were seeing doctors and therapists. But it didn’t. You see… no one really tells us how to react after our child is diagnosed. We get information on medication, therapists, and other referrals. We’re flooded with all kinds of outside help for our child. But no one tells you how YOU can make a difference, and you still feel like a bad parent. And that’s ironic. Why? Because as the parent you’re THE most important part of the equation in changing your child’s behavior. CLICK HERE TO READ MORE SUCCESS STORIES! Life can be better for your entire family, but it all starts with you. I’m here to help you – and as a result, your entire family – transform the way you live with and love your ADHD child. Together we’ll fast-track your learning curve. You’ll discover what it means to be truly connected with a supportive community. That’s why I’ve created a 6-month transformational experience to help you achieve the same results! This proven program is packed with step-by-step resources and empowering tools that allow you to transform your mindset, implement new parenting techniques, and surround yourself with an amazing community of parents who totally “get it” and are there to do nothing but support your journey. An experience that will help you transform into the kind of parent your child needs you to be. I deepen your knowledge about ADHD, and arm you with studies, worksheets, handouts, and checklists to ensure you have all the information you need to be successful. I help you transform your parenting mindset by changing the way you view your child, your role as a parent, and ADHD in general. I hand you parenting strategies and tools that you can immediately put to use and will actually work. When we do all of this together, we transform your parenting style and take your parenting skills to the next level where you’ll be able to understand your child’s behavior, break negative cycles, connect and bond with the child you love, and get your own life back. The best part? All of this is available to you for a lifetime! Long after the program has been completed, you will still have access to every video, recording, exercise, and… yes… even the community! You’ll also have access to all of the updates I make in the future with the ability to participate… at no extra cost to you. This is what moms who have already been through the Program have to say about their own transformative experiences! WE CAN’T SAY ENOUGH GOOD THINGS ABOUT THIS TRANSFORMATION PROGRAM! WHAT A DIFFERENCE! THE TRANSFORMATION PROGRAM IS THE HAND-UP THAT YOU NEED TO GET ON STABLE GROUND! There’s a LOT more where those came from! Click here to read more incredible success stories! Ready to join these parents in your own transformation? Enroll Now! The Transformative ADHD Parenting Program is for anyone who has a child (or cares for a child) who has ADHD. If you’re willing to try new things, make serious changes to the way you parent, and you’re anxious to find joy in parenting again then you’re in the right place. I created this step-by-step 6-month program to meet you where you’re at in your parenting journey and give you all the parenting tools you need to get to the next level with your child. So you can continue to grow with your child as they realize their full potential. It’s important to remember, however, that transformation doesn’t happen overnight. The steps I teach you are straightforward, but it takes support, hard work, practice and persistence over time. The good news is, I will arm you with all of the tools, resources, and support you need to make your transformation successful and sustainable! We know that when kids know better, they do better. The same holds true for their parents. When parents are empowered to do better everyone benefits. And that’s exactly why I created the Transformative ADHD Parenting Program for parents like you. What’s Inside the Transformative ADHD Parenting Program? Each week you’ll get one or two short, action-packed videos designed to tell you exactly what you need to know – without overwhelming you. Don’t have time to watch videos? I get it. That’s why I offer the slides and transcripts on their own to read through them when you can. Your workbook contains over 100 pages of reference material, templates, activities, and exercises that correspond to each unit. You’ll be invited into a private Facebook Group exclusive to Transformation participants! I’ll be in this group with you each and every day answering your questions and prompting you through the assignments. Plus, you’ll have lifetime access to this group for support. Connect with other parents going through exactly what you are! I’ll be available to answer your questions directly through weekly Facebook Live office hours. Listen in while I break down your questions, help you apply everything you’re learning to your everyday life, and eliminate any roadblocks you’re facing. Every office hour will be recorded if you can’t watch it live. Accountability and support from me to help ensure your continued success. You can learn on the go and at your own pace (it’s mobile friendly) so you can review the material any time you need a refresher. PLUS, every time I offer the program you’ll be invited to go through the entire program again, at no additional cost. Discover recommended products, programs, books, apps, and other critical tools for parents like you. Do you want all of that, but ALSO want personalized coaching to ensure your success? 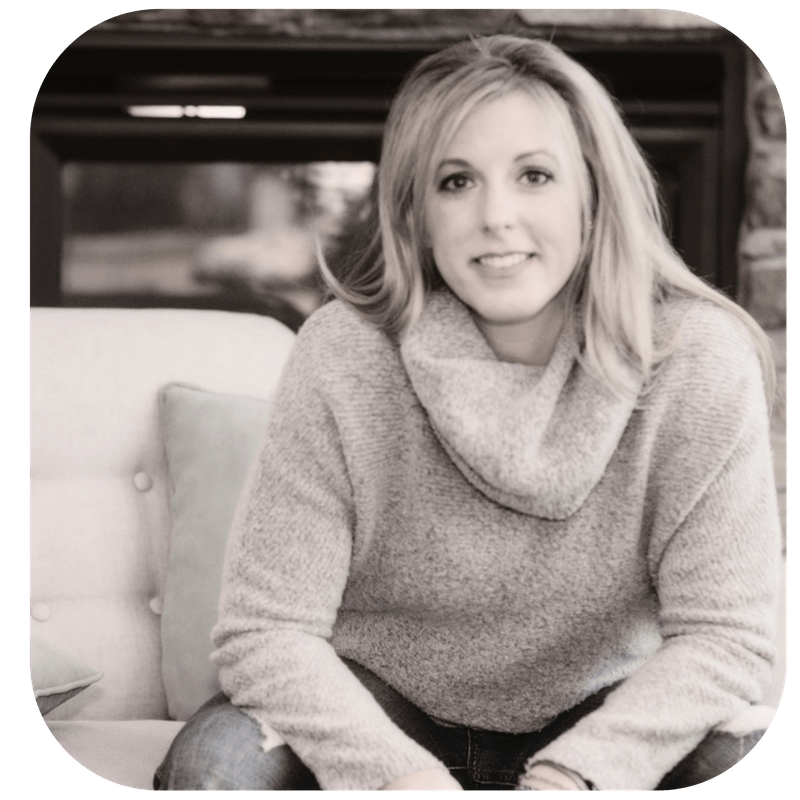 Set yourself up for transformational success in the Program by meeting with Erin personally at the outset of the course. Discuss your biggest challenges, set your goals for the program and discuss how you can best be supported during this time. This session will be recorded and provided to you afterwards. Enjoy 6 one-on-one 50-minute coaching sessions throughout the Program. These will help you course-correct and get your questions answered in a private setting. Each coaching session will be recorded and provided to you afterwards. Registration is ​​​​​​will open again SOON! Sign up NOW and get access to these Program BONUSES! You’ll receive one free private coaching session after you complete the program to get all your burning questions answered. This session is recorded and provided to you afterwards so you can share it with a significant other or refer back to it anytime. Everyone who purchases the Transformative ADHD Parenting Program gets access to this new on-demand video program designed for parents who are still trying to get a handle on their child’s ADHD diagnosis. 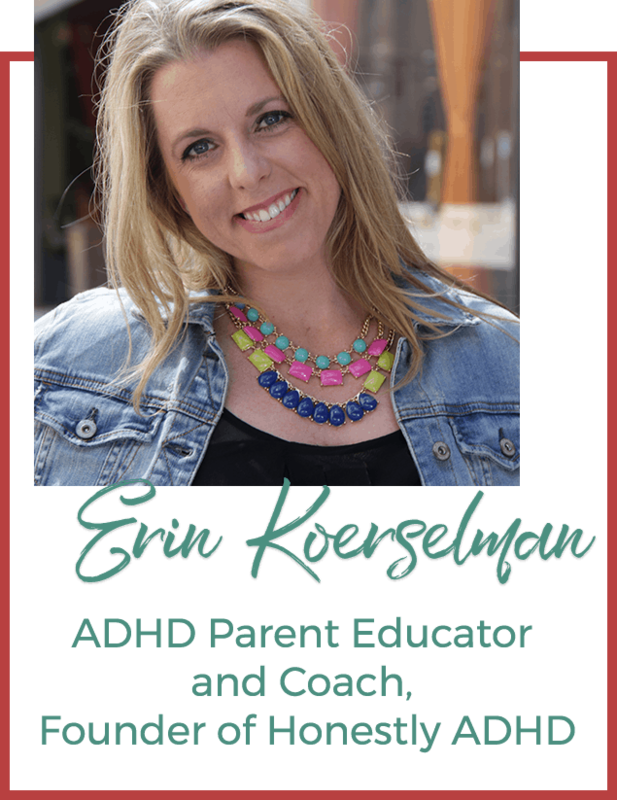 I cover exactly what parents want and need to know at the beginning of their ADHD parenting journey – and how to move forward from it. This program is scheduled for release by the end of 2018. Be the first to get it! ERIN’S PRACTICAL PARENTING STRATEGIES ARE INVALUABLE! THE TRANSFORMATION PROGRAM HAS CHANGED OUR LIVES! And there is more… Click here to hear what other parents have to say! When my oldest son was finally diagnosed with ADHD, the process of getting there was long, confusing and stressful. Once we received it we were left wondering… what now? So I did what many ADHD parents do immediately following a diagnosis: I went home and Googled it. Big mistake. BIG! I ended up with very few answers, but a whole bunch of new questions spinning in my head. In spite of my panic, however, I really was confident in the beginning that I’d figure this thing out. I mean, I’m a smart, dedicated parent. My husband and I were ready to try whatever we needed to help our son. I truly thought it was just a matter of finding the right professionals and we would all be on the right track pretty quickly! Simple! Are you laughing right now? It’s ok. Looking back now, I can see how naive I was. Nothing happened quickly, except my son’s behavior continued to escalate and get worse instead of better. Instead of finding answers, we only found more questions. We struggled finding the right help. One doctor would contradict the other. The therapist disagreed with the psychiatrist who thought something different than our pediatrician. And don’t get me started on trying to cooperate with school! I was frustrated and running out of ideas. At one point I was juggling four different providers, none of whom talked to each other and none of whom were all that helpful because, well… my son kept heading down a darker and darker path. It was then that I began to doubt that I was capable of parenting my son. I found myself wondering whether I just didn’t have what it took to be his mom and in the end his failures would be my fault. Ever feel that way before? Yeah, the guilt games we play with ourselves are rough. One day, however, everything changed. I learned about an “ADHD parenting coach” a friend of a friend of a friend had used. I didn’t know what a “parenting coach” was, but I was desperate. We made an appointment. I can honestly tell you that nothing has been the same since the day we walked into our appointment with our coach. She offered important information about ADHD nobody else had bothered to tell us, helped us develop parenting strategies that actually worked, and walked beside us through the most trying times. While her ultimate goal was to help my son thrive, she knew meaningful improvement had to be accomplished through the parents. So she went to work giving me the tools to help my son. Working with her changed my life – and my entire family’s life. She empowered us with invaluable knowledge and skills, and for that I’m forever thankful. I soon found out that most other ADHD parents didn’t know such a thing existed – and I knew how much they needed one. It didn’t start as coaching. I simply began to pass along this new information and strategies to other moms and dads I knew. But as I spoke, I noticed my friends started to stand a little taller. It was like I was breathing confidence and hope into these parents with these really easy to strategies. That’s when I became a coach and founded Honestly ADHD. I created the website as a resource for parents to make sense of what ADHD actually is and how it truly impacts their kids and families. Then I created a Facebook community (we’re almost 30,000 strong now!) because I needed a place to connect with other parents. It’s a safe place to share parenting strategies that can immediately be applied in their everyday lives to help their kids thrive. Just as importantly, parents often need to reset their mindset, regain their own sanity, repair their home environments, and tend to their marriages. And they need to do all of that surrounded by other parents who are there to lift them up and walk the journey together. Why Would This Program Work for Me? The Transformative ADHD Parenting Program gives you the tools you need to transform your parenting style and behaviors. To do this, you must invest not only in this program, but also in yourself. This Program is for parents committed to their children’s well being AND willing to think outside the box. It is for parents who know that in order to get something new out of their children they need to be willing to do something different. The Program is designed for parents who are willing to look inward first instead of solely focused on what is wrong with their child. The Parenting Program is designed for parents willing and able to take in a lot of information and think critically about how it will work best for their child, family life, or situation. While the Program offers amazing information and solutions, there is no one-size fits all answer to every ADHD child’s struggles. Who Wouldn’t this Program Work For? The Basic Transformative ADHD Parenting Program is not right for you if you’re looking exclusively for a one-on-one parenting coach. (The VIP option does include extensive private one-on-one coaching). The Program is not right if you hope to transform your parenting style passively or immediately. The Program is for action-takers who understand that real change happens with consistent, focused effort over time. This program is not right for you if you are looking for “cookie cutter” solutions to the complex problems your children and family face. While some of those solutions can be effective for some parents and children in the short term, my goal in the Transformative ADHD Parenting Program is to help you gain the mindset, knowledge, and parenting skills necessary to figure out what to do when a cookie cutter solution doesn’t work any longer. When you have fully completed the Program, you will parent your children with a newfound confidence that no matter what new problem you face you have the skills and mindset needed to help solve it – and a community to help you while you do it. Where Does the ADHD Parenting Program Take Place? Everything is online — no travel is required. You have lifetime access to the training, so you can go through the materials as they’re released in the member portal, or you can slow things down and work at your own pace. If you have Wi-Fi access you will have everything you need to experience the Program. Facebook will be used for the exclusive Facebook Group and Live Streaming Interactions with Erin. I recommend between 2-3 hours per week to watch the training, complete your parenting assignments and — if you’d like — engage with the community. The material will be provided to you in short videos that can be digested all at once or around your busy schedule. Many of us have full-time jobs and all of us have chaotic family lives. This experience is designed to immerse you, but it can also be customized to your life. Remember, you do get lifetime access to the training and can easily work at your own pace, on your own schedule. The more focus and dedication you put into the Transformative ADHD Parenting Program, the more you’ll get out of it. To be clear, there are no fast or guaranteed results. Transforming yourself into the “super-parent” your child’s ADHD demands of you is not a linear event. I’m here to support you no matter how crazy your life gets! What If I Need to Go Through the Program on My Own Time? This experience is designed to immerse you, but it can also be customized to your life. Life happens! I get it – especially when you’re raising children and ADHD is in the mix! That’s why I’ve given you lifetime access to the training and made it as flexible and convenient as possible! You can easily work at your own pace, on your own schedule. Every engagement – every Office Hours, VIP Coaching Session, or spontaneous Training is recorded and downloaded into your Parent Membership Portal for your easy access whenever, wherever you go. Transforming yourself into the “super-parent” your child’s ADHD demands of you is not a linear event. I’m here to support you no matter how crazy your life gets! Will the Program Work if I’m Outside of North America? Of course! While some of the Live Streams may be at unusual (or sleepy) times for you, all material is recorded and saved in your membership portal to view on your own time. Can My Spouse and I Attend the Program Together? Absolutely. Please do! If you are sharing the same household / the same devices, then by all means share the material with your significant other! This is not, however, a communal program. Please do not share the content with members of your extended family or friends that are outside of your household. If you think Grandma or your babysitter would love this program, email me at erin@honestlyadhd.com for a Caregivers & Family Discount. Do You Offer a Guarantee — Can I Get a Refund if I’m Not Satisfied? Yes. I back my Transformative ADHD Parenting Program with a 100% satisfaction money-back guarantee. Here’s how it works: Participate in up to the first three weeks of the Program from the start of the live program. If you don’t feel we’ve delivered on our promise within those weeks, send me an email within the first 30 days of the Program. I’ll ask for your completed Program work to make sure you gave the Program a solid try, and ask what didn’t work for you so we can learn and improve. Once we receive your completed program work and your feedback, you’ll get a swift and complete refund. Do pay attention to dates. I make the refund deadline extremely clear to everyone who signs up. The deadline exists because, if you sign up for the Parenting Program, we want you to get started. I am pouring my heart and time into this program and I want to devote that effort to students who are committed. If you don’t plan on starting right away, make sure this is the right investment for you as the refund period does have a firm deadline, which is 30-days after the start of the live program. If you do the Parenting Program work and don’t get the value you expected, submit your completed homework and feedback within the first 30-days, and get a full and complete refund. We accept all common credit cards including Visa, MasterCard, American Express and Discover. We are not currently set up to receive checks or invoices. Will the Live Office Hours and VIP Coaching Sessions be recorded? Yes, each Live Office Hours and VIP Coaching Sessions will be recorded and you will have lifetime access to it. How long will I have access to the program? You will receive lifetime access to all of the program materials and recordings. What are the Important Dates? The cart to enroll in the Transformative ADHD Parenting Program is open now until Thursday, October 11th at 11:55 pm (central time). Early bird pricing expires on Friday, October 5. Class starts on Monday, October 15th. Each “Chapter” runs roughly 4 weeks. You receive access to all of the content within that Chapter on the first day so that you can have as much flexibility as you’d like. Program Completed April 17th If you’re not sure you can participate right away you will have lifetime access to the program and the recordings from the live calls. What if I Have Another Question Not Listed Here? I’m so confident in the materials you’ll get in this program that I back it with a 100% satisfaction money-back guarantee. I’ve poured my heart and time into this program and I want to devote that effort to students who are committed. If you don’t plan on starting right away, make sure this is the right investment for you as the refund period does have a firm deadline, which is 30 days from the date of purchase. Here’s how it works: Participate fully in the program and if you don’t feel like you’ve had any improvement, send me an email within 30-days of your date of purchase. I’ll ask for your completed program work to make sure you gave the program a solid try, and ask what didn’t work for you so we can learn and improve. 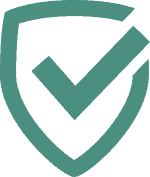 Once we receive your completed program work and your feedback, you’ll get a swift and complete refund. Still not sure if the ADHD Tranformational Parenting Program is for you? “I chose the Parenting Program because I had always wanted an “ADHD coach” for my son but didn’t know where to find one. I wanted a coach to help him learn how to deal with his behaviors. Funny thing is that I figured out I was the one who needed the coach. other parents who have joined the Transformation Program! I created this program to help families just like yours. I know what you’re going through and I want to help you understand your children better and position yourself to parent with success. I look forward to serving you and empowering you to be the best parents you can be so that your kids grow up to be the best people they can be. Here’s to parenting more confidently! P.S. Still Have Questions? Ask me anything about the Transformative ADHD Program and I’ll help you get clear on whether or not it’s the right fit for you. Once you submit your question myself I’ll contact you personally to answer your burning questions. Email me at erin@honestlyadhd.com.